Foundation is an integral part of most women’s basic makeup routine. Even when they don’t go all out with lipstick and heavy eye makeup, most women who wear makeup regularly still make an effort to dab on a bit of foundation at the beginning of their day. There are countless different types of foundation. Various foundation formulas are designed for different skin types in order to make sure that a good foundation is available for every woman. 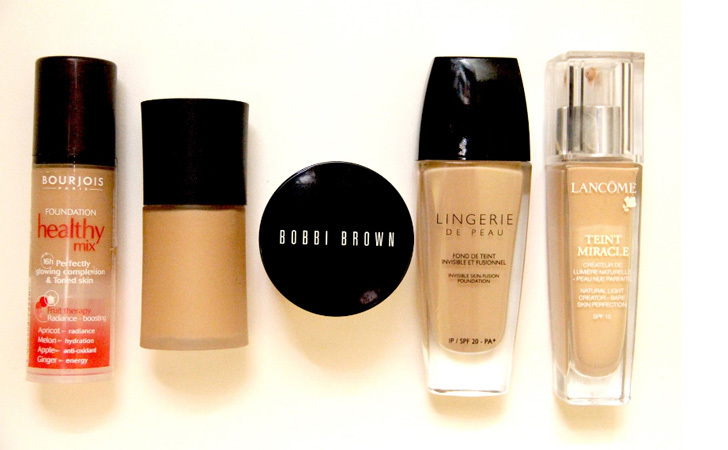 However, the endless variety of foundation choices can be overwhelming. For women who struggle with dry skin, hydrating foundation is a great choice. Hydrating foundation includes extra moisture in order to combat dry areas of your skin. Many women with dry skin understand the struggle of trying to apply makeup over patchy or flaky dry skin. Hydrating foundation can help with this frustrating problem. It applies easily over even the driest skin and adds hydration to your parched skin after application in order to leave it smoother by the end of the day. 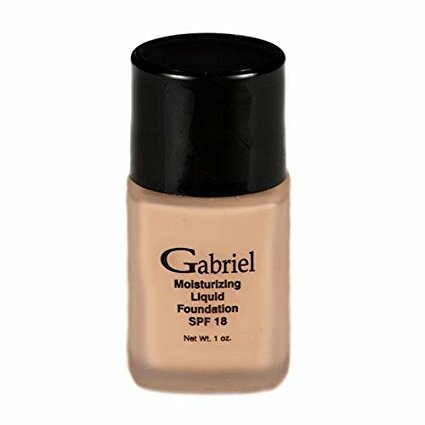 This liquid foundation from Gabriel Cosmetics is a lightweight formula that provides necessary hydration to your skin. It includes nourishing vitamin A and vitamin E in order to condition your skin and help it feel smoother and softer at the end of the day. The formula of this foundation includes a blend of natural, botanical ingredients that hydrate your skin without making it feel oily. The foundation includes no harsh chemicals or other irritating ingredients that can cause damage to your skin. Also, it includes SPF 15 sun protection so that you can feel safe and protected outside all day long without having to shield your face from the sun’s UV rays. 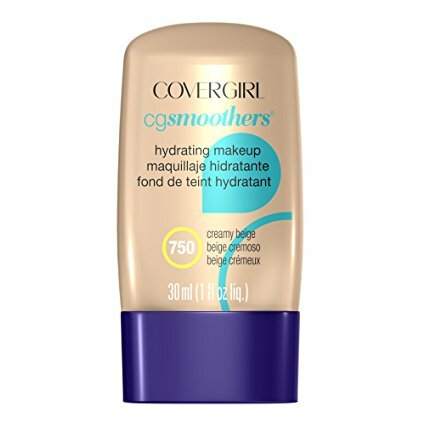 You don’t have to wait for this hydrating foundation from Covergirl to restore your skin to its silky soft potential. The makeup starts working immediately after you apply it to smooth out and soften your skin. For up to eleven hours, the foundation continues to hydrate your skin so that it stays soft and does not get flaky or dry throughout the day. Although this foundation provides your skin with intense hydration, it does not clog your pores or cause your skin to feel oily. Instead, it keeps your pores clear and evens out the texture and feel of your skin. 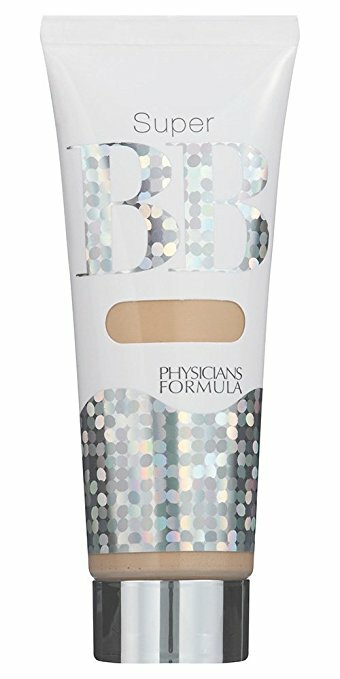 This beauty balm from Physicians Formula is a lightweight foundation that provides hydration and a variety of other skincare benefits without weighing down your skin. This formula can be used in place of multiple makeup products, including moisturizer and foundation. The beauty balm includes ten different primary benefits: smoothing, priming, filling, brightening, concealing, perfecting, protecting, moisturizing, line-softening, and long-wearing. It smooths out the texture of your skin and ensures that it retains its silky soft finish all day long. Plus, the formula is non-comedogenic, so it won’t make your skin look or feel oily. It is hypoallergenic and includes no parabens, gluten, fragrances, or other harsh chemicals, so it is a great choice for women with sensitive skin. 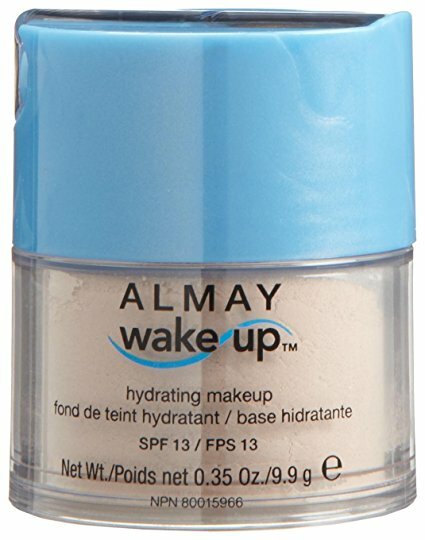 This hydrating foundation from Almay features a complex formula that ensures intense moisture and rejuvenation for your dry, sensitive skin. Its formula includes encapsulated water. When you apply the foundation to your skin, the water inside cools, soothes, and hydrates your skin immediately. The foundation also includes a blend of other active ingredients, including cucumber, aloe vera, green tea extracts, and a variety of minerals. These all-natural ingredients nourish and condition your skin while providing extra moisture during wear. As an added bonus, the foundation features SPF 13 sun protection that protects your skin against both UVA and UVB damaging sun rays. Are you a busy woman with a hectic schedule that lengthens your days on a regular basis? This long-lasting hydrating foundation is a great option for women who are on the go from morning until night and require makeup that easily accommodates their busy schedule. This foundation from L’Oreal Paris lasts for up to twenty-four hours and keeps your skin soft and smooth the entire time. This foundation has an extremely creamy formula that feels weightless and non-greasy on your skin. It brightens up your skin and gives it a gorgeous, glowing finish that is otherwise difficult for women with very dry skin to achieve. Although it is lightweight, the hydrating foundation provides you with enough coverage to hide any blemishes and imperfections and leave you with a silky soft and smooth canvas. 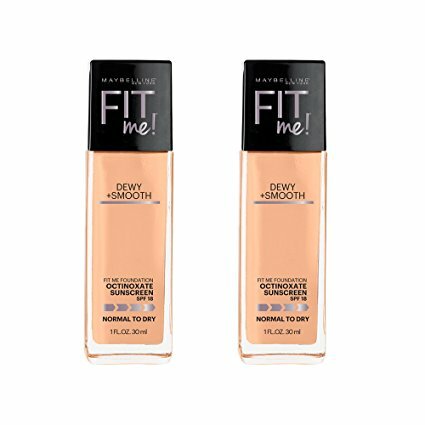 This hydrating foundation from Shimarz is a liquid formula that offers full coverage for your skin. It covers up all of your blemishes and other imperfections while adding moisture to your skin in order to ensure a smooth and flawless finish. The foundation applies extremely smoothly to your skin without sticking to dry areas or creating flaky patches. The foundation is an all-natural and organic formula. It does not include any artificial chemicals, parabens, or any other harsh chemicals. The natural formula of this foundation ensures that it will not irritate even the most sensitive skin. When your skin is dry, it often feels more sensitive and is more easily irritated. 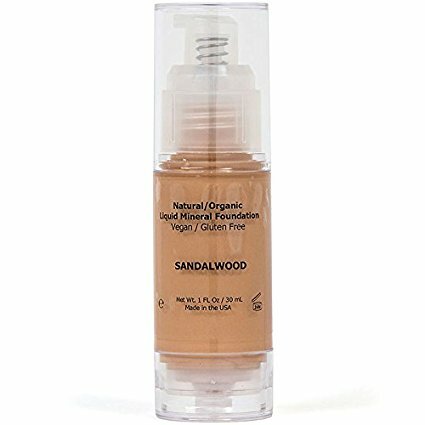 This organic foundation hydrates your skin while protecting it from any irritation or damage. This gel formula foundation provides your skin with the perfect amount of sheer to medium coverage. It is a very lightweight formula that feels weightless on your skin and leaves you with a soothing, refreshing feel. The formula is non-irritating. It contains no chemicals, silicone, no parabens, and no fragrances. This foundation is also free of any oils in order to leave your skin looking and feeling hydrated but not oily. The foundation is a mineral-based formula. It includes a blend of natural marine botanical ingredients that work together to hydrate your skin and add necessary moisture for a silky smooth finish. This formula gives your skin a gorgeous, dewey finish. It also features SPF 30 sun protection in order to shield your skin from the sun’s harmful rays. This foundation leaves your skin with a bright and dewy finish. It instantly illuminates your skin and restores its natural, youthful glow. The hydrating formula is designed for use on extremely dry to normal skin and smooths comfortably over any dry patches. It is resistant to water and is extremely long-lasting; the foundation stays on your skin all day long without fading, smudging, or settling.